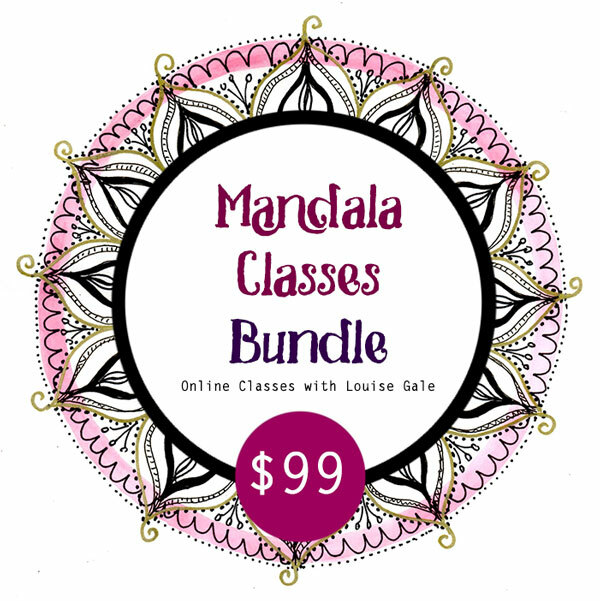 My newest Mandala class is live and I have been having so much fun recording videos and setting up the classroom. 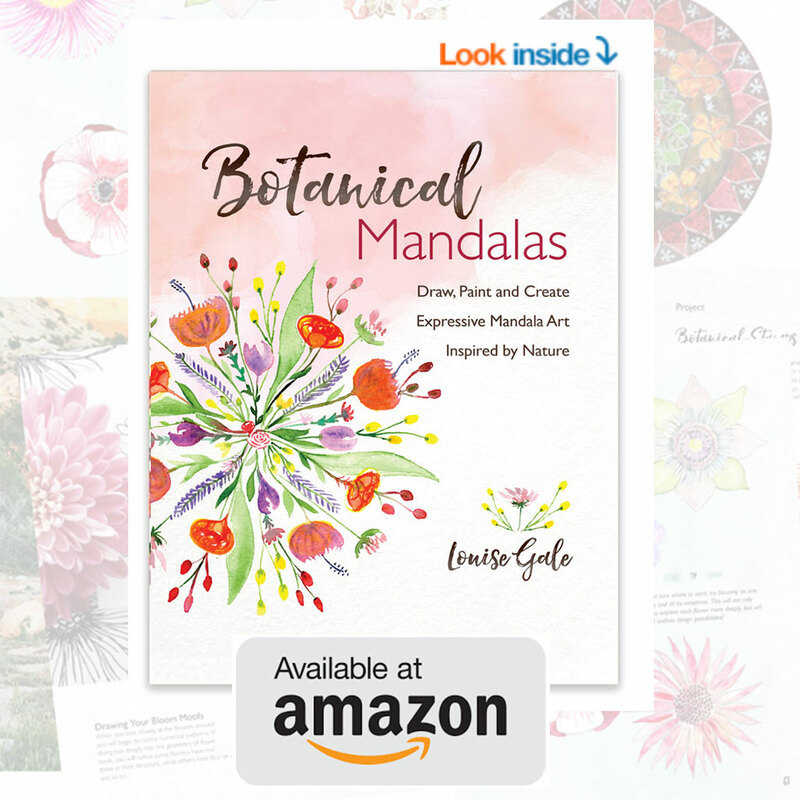 ‘Mandala II: Paint, Sculpt, Collage Mandala Art‘ is all about taking our mandala drawings and designs one step further, mixing up the mediums and seeing our mandala designs take on a whole new look and feel with 3d elements. We will see our mandalas come to life in this class! There are over 25 videos so lots of tutorials and inspiration to get your creative juices flowing! You work through at your own pace and you have LIFETIME access! Here is a little peek into just a couple of projects we will be working on in class. 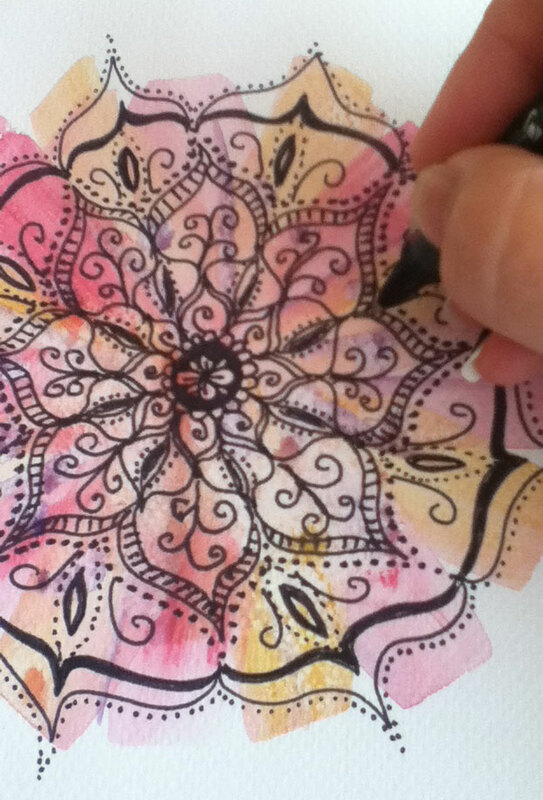 If you already use watercolor, you can apply your painting skills to develop your own unique style of mandala making. 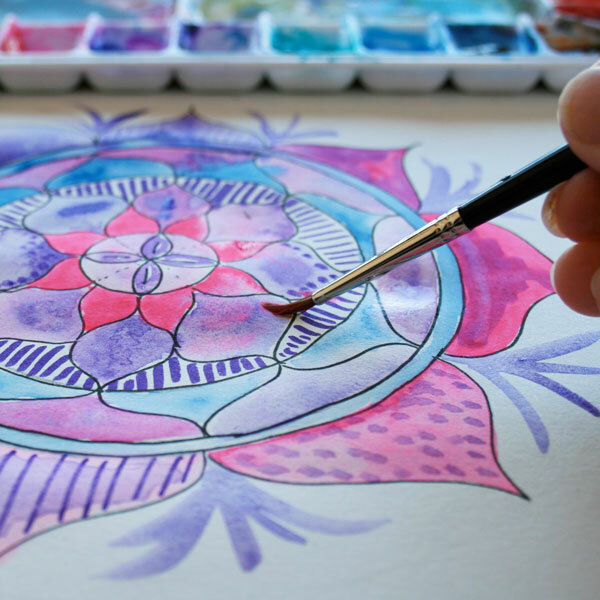 We also get to play with paint and create some gorgeous backgrounds to draw and paint freehand mandalas onto. Below are just a few gorgeous designs from previous students who have taken some of these lessons with me before. 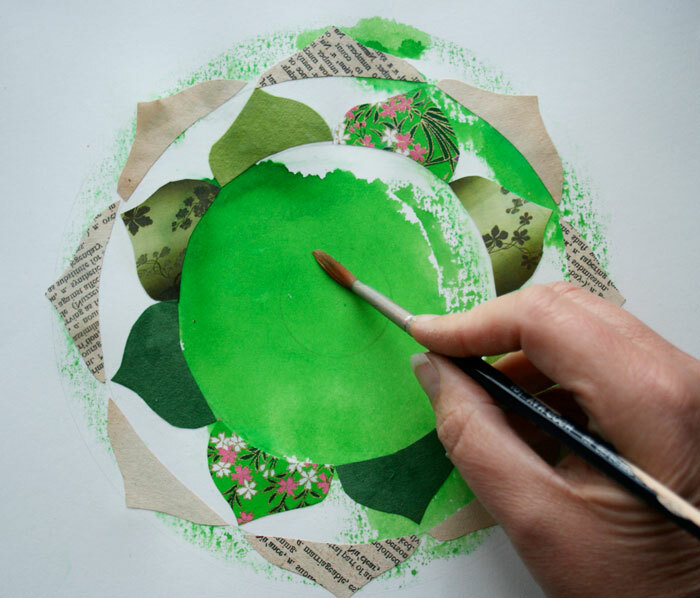 In the collage module, we make our own collage paper from copies of our mandala paintings and combine paint and other elements to create beautiful mandala collages and mixed media pieces. These include structured symmetrical mandalas and freestyle imagery within a sacred circle (like below). 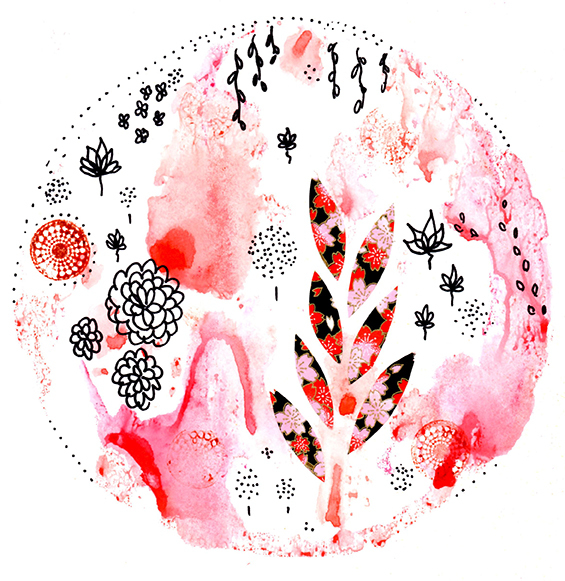 There are lots of experimentation tutorial videos and inspiration for you to explore! One of my mandalas experimenting with paint and collage added. Below are just a few samples from students who found their love of mandalas and collage in a previous mandala class. 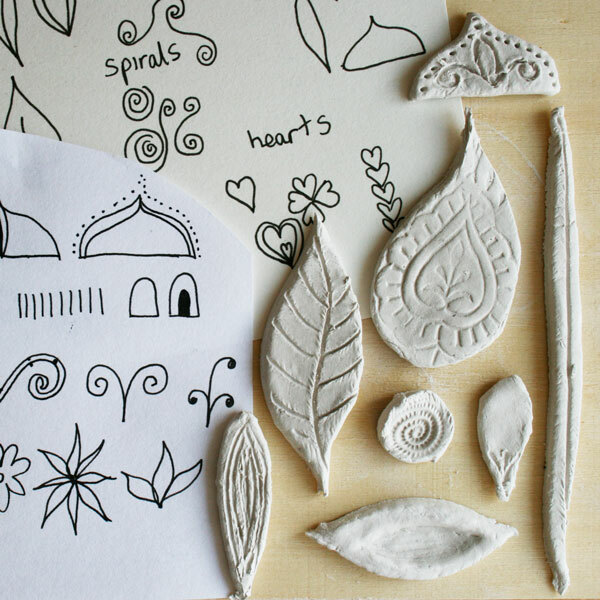 In the Sculpt module, we have lots of fun with air-dry clay. We turn our own unique motif designs into beautiful objects, create mandala hangings, pendants, mini bowls and a carved /hand-built sunflower mandala. This is a brand new module with all new videos. 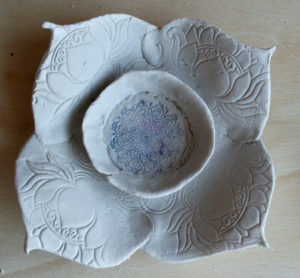 We continue to develop our own personal motifs and create them in clay form! There is also an amazing bonus project (that I just added this weekend! 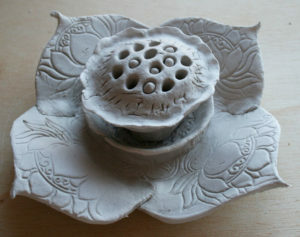 ), which is a gorgeous lotus seedpod inspired incense burner which we will be making together step-by-step. Here is mine as it is drying! 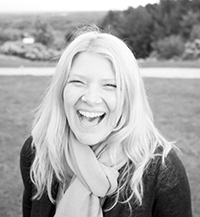 I am so excited for this class and I hope you will join me! 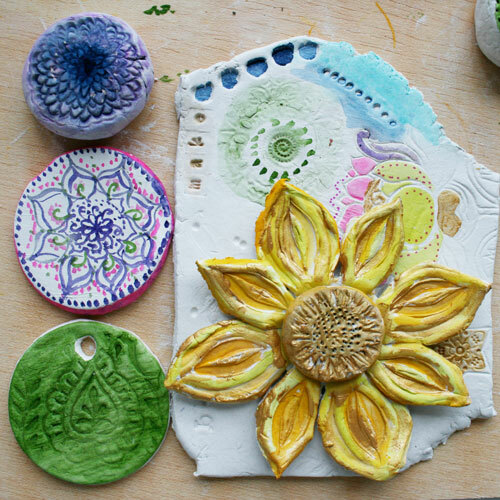 Would you like to explore the world of mixed media and create colorful, textured, beautiful mandalas? The class is self-paced so as soon as it opens, you will have access to all the lessons to work through at your own pace. All of my classes are now LIFETIME access too! 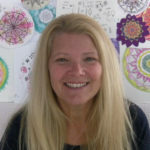 So you will can revisit and grow your mandala practice for years to come. We also have an optional Facebook community so you can share artwork, ideas and inspiration. (or you can sign up to all 3 classes in the special bundle for only $99)!